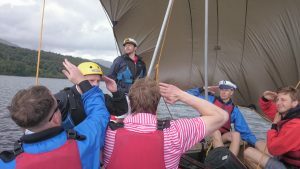 If you are looking for the perfect Stag Activity Weekend Itinerary from a Lake District Outdoor Activity provider with Group Accommodation, you’ve come to the right place! Anyone who’s done it will tell you that planning a stag weekend itinerary can be the most stressful task imaginable at times. Finding a date, location, activity and cost that suits everyone, and then co-ordinating a group of people, some of whom are total strangers, is no easy feat. But it really doesn’t need to be hard. As well as being outdoor activity providers for over 15 years, we also have the added bonus of our own bunkhouse accommodation that sleeps 20 people. And with our stag party activity packages starting at as little as £900 for 2 nights accommodation + 1 activity for up to 8 people, or £1200 for 9-16 people, we don’t think you can go wrong! 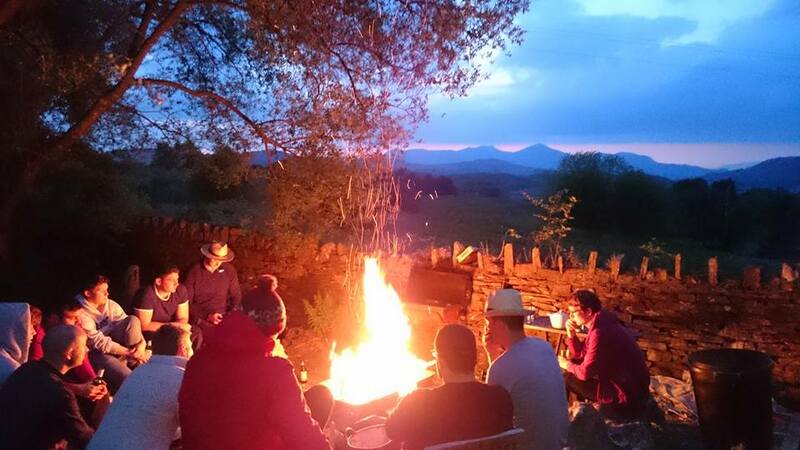 We offer various package prices that are based on your group number, but we are often asked what stag groups find the best activities, so with that in mind we thought we’d give you an example of the kind of weekend you could enjoy if you have a group of 16 people. From 4pm Lowick School Bunkhouse is all yours! Let yourselves in, make a brew or pour a pint from your own keg delivered from Ulverston Brewing Company, and start to relax! 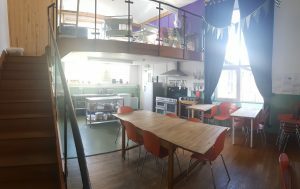 With its big self-catering kitchen-dining room, separate lounge complete with screen and projector, table football and wood-burning stove, groups are often pleasantly surprised with the large amount of inside space in the bunkhouse. And outside it’s just as great as you get a large campfire area with seating around a firepit that you can also BBQ over. The fell views are pretty special from there too, so there’s no forgetting that you’re in the stunning Lake District. The bunkhouse is self-catering, so you can either get the chef’s whites on in the fully equipped kitchen, light the BBQ and take advantage of our pre-order butcher packs, or if you really don’t feel like cooking, book a table at either The Farmers Arms Lowick or the Red Lion Inn, both of which are just a mile down the road. Up and at ‘em stags! And don’t forget to give yourselves time for breakfast, especially if you’ve pre-ordered the full english breakfast butcher packs! Most groups choose to do a morning activity, or a full day with 2 activities. 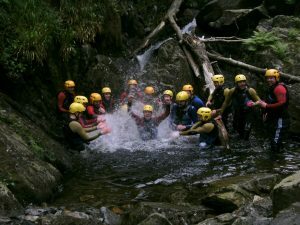 Our most popular activity is Gorge Walking, which is often coupled with Raft Building or Canoeing to make a full day. These activities can be as challenging and competitive as you want, but most of all they are rewarding and ridiculously fun! Silly costumes are optional! Before you head out, your instructors will come and say hello to you at the bunkhouse and get you all sorted with the technical kit that you’ll be needing for your day. Then it’s off for your adventures! If you’re out for the day and want to make life even easier you can also pre-order delicious packed lunches for your group for £10 per person. We don’t provide transport though, so make sure you have your designated drivers organised for the day. If you’re doing two activities you’ll have time for some lunch before your afternoon session. 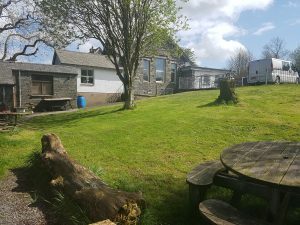 Depending on your chosen activities you can either pop back to the bunkhouse for a quick bite, or take your packed lunches and find a spot between locations with a good view. There’s quite a choice around here! Once your activities are finished, the rest of the weekend is yours. Relax in front of the fire at the bunkhouse, head out into the Lakes to see what else there is to offer, or perhaps head for a night out in Ulverston with its impressive selection of restaurants, pubs and bars. Time to say good-bye (unless you’ve booked another night). But unlike some providers we understand the value of a good lie-in, so the check-out time for the bunkhouse is 12 noon. This gives you plenty of time to get up slowly, have a brew and some breakfast and still have time to clean up the bunkhouse before heading home. So there you have it. 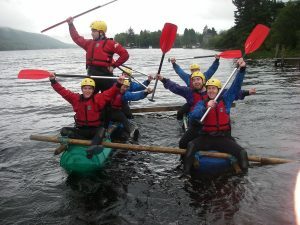 The perfect mix of great group accommodation and excellent outdoor activity provision from a company who don’t mind that you’re a stag group, and who understand what it takes to make a weekend full of amazing memories!